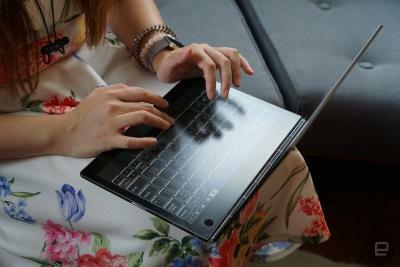 Lenovo's 2018 Yoga Book (C930) is a Windows 10 tablet/laptop hybrid that features a 10.8" 2560x1600 LCD display and a large (around 8", it seems) E Ink display that operates as a dynamic keyboard, a notepad or an e-reader. Other features include an Intel m3-7Y30 or Core i5-7Y54 processor, 4GB RAM and up to 256GB of SSD storage. The Yoga Book C930 is now shipping (note: affiliate link to Amazon.com).